Mercantilism and accounting remain two dynamic and debated concepts in terms of definition and scope. This volume brings together the research of international scholars from a wide variety of disciplines – accounting, anthropology, native studies, economic geography, economic history and management – to reflect on alternative approaches to the study of these concepts. This book focuses particularly on how individuals across space and time negotiated and navigated systems of exchange and trade, especially when confronted with world views and cultural systems that conflicted with and disrupted perceptions of their own. 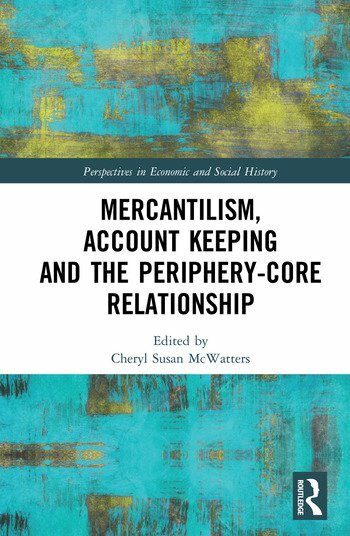 Through this, the volume offers a helpful reinforcement to the view that the analysis of mercantilism must be more highly contextualised to time and place, along with deeper focus on the local actors involved. It is these local actors who negotiated, exchanged and navigated differing world views and who enable us to tease out the longer-run global economic and social processes and the impacts of these encounters. Complementing the growing interest in mercantilism, Indigenous studies and the relationships between colonists, traders and their counterparts in colonies and trading ports, this work provides a cross disciplinary examination of the subject area. Furthermore, it encourages a renewed interest in the use of archival documents and documentary sources in novel and innovative ways. Cheryl Susan McWatters is the Father Edgar Thivierge Chair in Business History and professor of accounting, at the University of Ottawa, Canada. She holds a PhD in Management from Queen’s University, Canada and her research interests span accounting, business and economic history, management accounting and control, and operations management. She is also the editor of Accounting History Review, and associate editor of the Journal of Operations Management.